When Caleb (Domhnall Gleeson) wins his work's lottery, he is thrilled. His prize is the opportunity to spend time with his boss - the elusive entrepreneur, Nathan (Oscar Isaac). Intrigued, Caleb gets on a helicopter and travels to Nathan’s remote (and stunning) home. However, on arrival, Caleb discovers that he is to be part of a groundbreaking experiment. Nathan has created a stunning female AI, Ava (Alicia Vikander), and he wants Caleb to see if she could pass for human. Ex Machina is a fantastically tense and unsettling film. It looks gorgeous (some pretty special home decor here), and is superbly scripted and directed by Alex Garland. Garland's story kept me guessing to the very end. I didn’t know what was going to happen and I couldn’t work out just who was the villain of the piece. As a result, I felt the same building sense of paranoia as Caleb. The film’s central performances are really powerful. Domhnall Gleeson is wonderful as Caleb and Oscar Isaac is fantastic as Nathan. Everything about his character made me feel uncomfortable. However, for me, Alicia Vikander steals the show. She is brilliant as Ava - both in the way she speaks and in the way she moves. Her performance is helped, of course, by the fact that her AI design is amazing. Despite this, I would recommend Ex Machina. It is tense, gripping and fascinating and left me with much to consider. 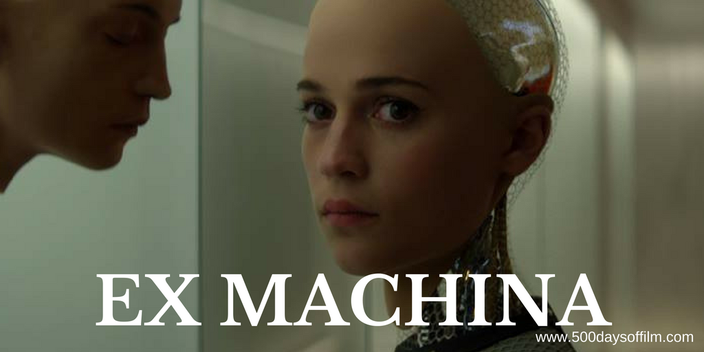 Have you seen Ex Machina? What did you think about this film? Do let me know in the comments section below!